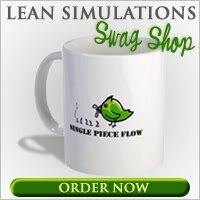 Over the last three years I've collected a ton of lean games and simulations. I've searched extensively to list any and all free resources, so anyone can teach lean with a lean game. I think I've been largely successful, but with the nature of the Internet, it's always possible that these links go dead and the games are lost. I don't own these games, nor control the access to them, but I've tried my best to create a comprehensive resource. But. . . sometimes you just need to have a physical copy of a lean game or simulation. Naturally, you can spend $500+ for a consultant's kit and get a complete lean game package. There's plenty out there, some very good and some not so good. But personally, I believe you can spend a lot less and create your own simple lean game with common materials found in your own office or at the dollar store. Enter the Lean Games Book! 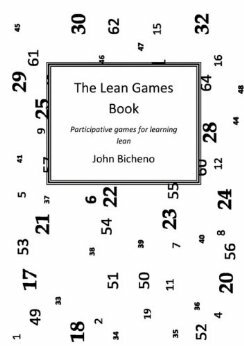 The Lean Games Book was written by John Bicheno. Published in 2009, it's been around for a few years already, but so has the author! John Bicheno is the creator of the Buckingham Lean Game, one of the original lean simulations developed in the 1980's. Starting out as an engineer in South Africa, John's credentials now include Dean at the University of Buckingham in England, Director of MSc in Lean Operations at the Lean Enterprise Research Centre, Shingo Examiner, and book author. One cool thing about John is his up-to-date list of 100 top lean books! There's some excellent lean learning material on that list. The Lean Games Book gives you pages upon pages of lean games and simulations, some of which are captured on this site, but many that aren't. 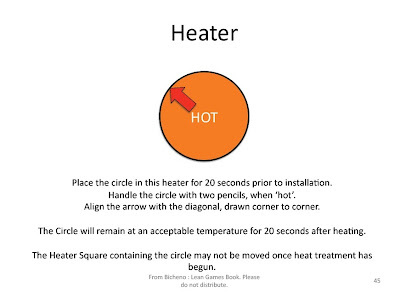 Do you have a heat treatment process at your plant? Interested in simulating that with a lean paper game? 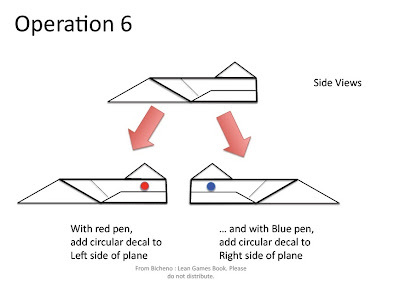 How does the Lean Airplane folding game add a special twist to folding airplanes? 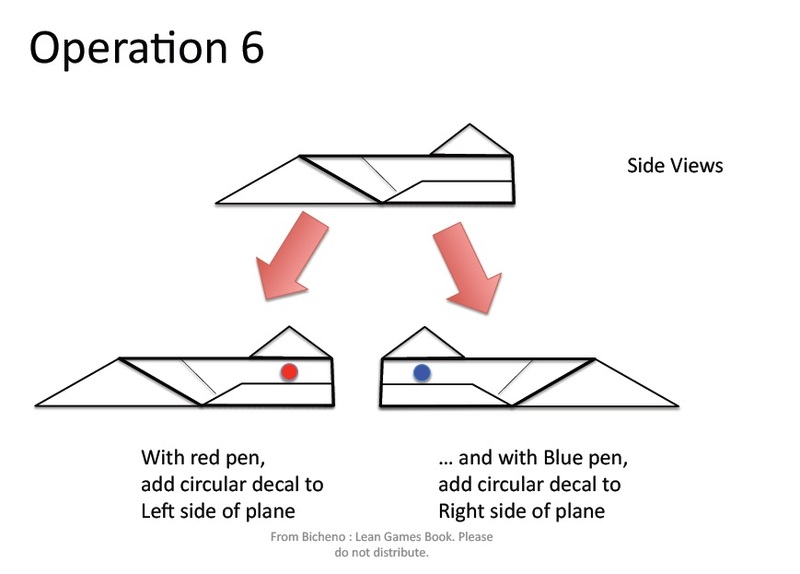 Using red and blue pens to add decals to each airplane! 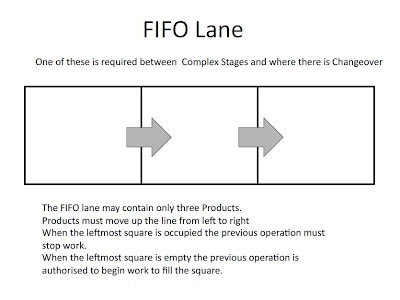 Can you simulate kanban and FIFO in a lean game? The Lean Games Book covers that. If you're planning to conduct a lean game, the first thing you should do is read and bookmark my huge list of lean games and simulations. The second thing you should do is pick up your own copy of The Lean Games Book! It's a handy resource to thumb through when you're away from the internet. 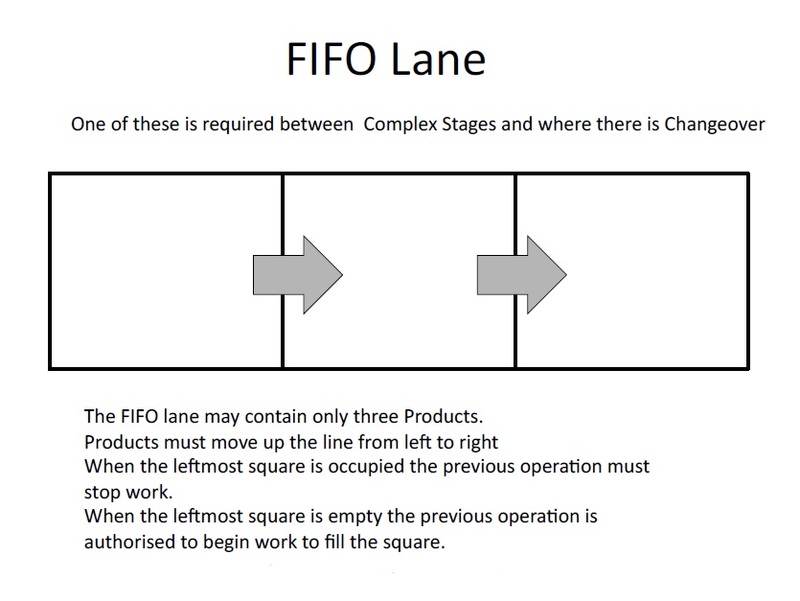 It really is the primary resource book that you should own, if you're teaching lean. Click here to get your own copy of the Lean Games Book from Amazon.